Dutch Football is known for producing world class attackers. The likes of Johan Cruyff, Arjen Robben, Wesley Sneijder, Robin Van Persie, Ruud Gullit are just a few names of a big list. They reached the final of FIFA World Cup 2010 where they lost 1-0 to Spain in the extra time and again in FIFA World cup 2014 they repeated the glorious remark by reaching the semi-final and unfortunately got beaten by Argentina. This was considered as their golden era after the remark of the 1980s. After this huge success, their performance degraded drastically and results were disappointing. They failed to qualify for Euro 2016 and World Cup 2018. With ageing Van Persie, retired Robben and Sneijder, Dutch football is looking towards the new generation of players to revive them and achieve the glorious feet again. 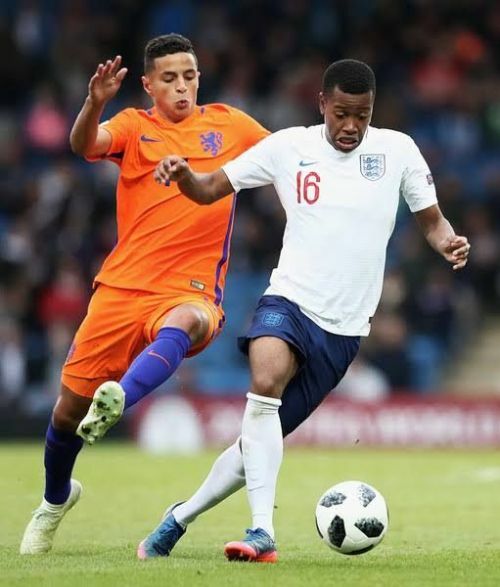 With Justin Kluivert and Memphis are on the edge of their potential as attacking reinforcement another star is rising from the youth ranks of PSV named Mohammed Ihattaren. Throughout the years, PSV established itself as a stepping stone for the future world class players like Ruud Gullit, Ronald Koeman, Ronaldo, Jaap Stam, Rudd van Nistelrooy and Arjen Robben. Born in Utrecht in the centre of the Netherlands, with Moroccan descent. The youngster joined PSV academy in 2010 as a kid and played through various youth ranks of PSV. The youngster has developed quickly in the youth setup at PSV, scoring 10 goals in 39 appearances in all competitions for U-19 side. He was also a part of Netherlands U-17 team who lifted European Championship in 2018 in which he assisted Holland’s equaliser in the final against Italy and also netted in the subsequent penalty shootout, which ended in a 3-6 Dutch win. In March 2018 he was rewarded with a first professional contract by PSV. 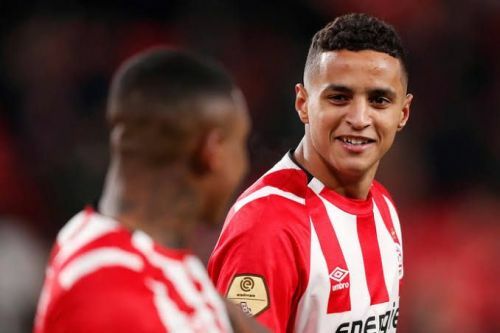 His performances caught the eye from PSV manager Mark van Bommel who gave him his senior debut in a 2-1 victory against Groningen in January 2019 as a late substitute after that he got his first senior start for the team in a 0-2 away victory against Excelsior. The 17-year old Mohammed Ihattaren who can play as a winger or No. 10 has emerged as one of the best young talents in the Netherlands. Ihattaren is a left-footed attacker with excellent dribbling skills and has great vision. His runs in midfield are eye-catching. Moreover, he is a speed merchant and his work rate is hailed by many peoples. He is known as a good crosser who like to curl the ball with an eye on the box. He can operate the ball with his weak foot in difficult situations a trait which is similar to Argentinian maestro Lionel Messi. Like his fellow Dutchman Robben, he also likes to attack from wings cut inside and create a scoring opportunity for himself. But there are certain areas where he needs to work a lot like aerial duels and lack of defensive contribution. At the age of just 17, he is under the radar of Barcelona, Chelsea and Manchester City scouts. He has got enough potential to make him one of the best attackers in the world. He can be the man for the Netherlands new golden generation.